Over time, dust and particles will find their way into your car’s fuel system. Since modern fuel injection systems are very easily clogged, it is important that these contaminants are removed before they reach the injectors and cause damage. The fuel filter’s job is to filter these particles out. Some filters are plastic or metal cylinders with a filtration system sealed inside. When these filters fail, the entire component will need to be replaced. Other fuel filters have small cartridges, which can be easily removed via the lid on top and replace with a new one. In older cars, the fuel filter sits along the fuel line and captures dirt and dust as it flows through. In newer cars, the fuel filter may be located inside the fuel tank. Diesel powered cars will often use a different type of fuel filter to prevent water contamination. Since diesel floats on water, the bottom of the filter will have a drain tap which allows water to exit. How long do fuel filters last? Eventually, a fuel filter will become clogged to a point where the flow rate of fuel will be lessened. When this happens, it will need to be replaced. In older cars, most mechanics will recommend that you replace the filter every 50,000 km. In newer cars, fuel filters are designed to last much longer and may not require replacement until at least 80,000 km of use. As the fuel filter gets clogged, the pump must work harder in order to push fuel to the engine. This can lead to it wearing and failing prematurely. By routinely replacing the fuel filter, you reduce stress on the fuel pump and allow it to last longer. Reduced engine power A decrease in engine power can be caused by a lack of fuel getting to your engine. When the fuel filter is preventing fuel from reaching the engine, your car’s computer may automatically restrict engine power in order to protect the engine. When this happens, the engine will go into limp mode and the check engine light will appear. Engine not starting – As the problem becomes worse, your car may struggle to start. This happens when not enough fuel is provided for ignition to occur. Engine stalling – A bad fuel filter can cause your car to regularly stall, especially when the engine is under increased strain. When driving up a hill or rapidly accelerating, the engine will attempt to draw more fuel from the fuel tank. When it fails, stalling may occur. Misfiring – A misfire is when your engine misses a process in its combustion cycle. This can lead to rough idling, rough acceleration and backfiring noises from the exhaust. A clogged fuel filter will result in increased misfires. Fuel pump damage – As mentioned above, a bad fuel filter will put strain on your fuel pump, leading to damage. Is your car in need of a fuel filter replacement? If so, we can help! At Grimmer Motors, our team of experienced mechanics can replace your old, clogged fuel filter for you. We can then replace it will a new one. This will allow for an improved flow of fuel and improved vehicle engine performance. 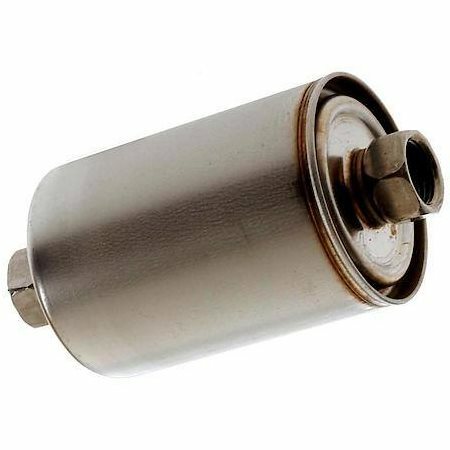 For fuel filter replacement in Hamilton, contact Grimmer Motors today!